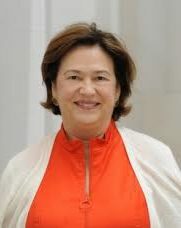 Janet Blanchard has spent over 20 years in public service in Michigan, Washington, DC, and Canada. In Michigan she worked in various management and administrative positions for the Departments of Education, Commerce, Civil Service, Labor, Management and Budget, and the Executive Office of the Governor. In Washington, DC in 1993, she served as Associate Director of Presidential Personnel in the White House for President Clinton. Janet oversaw appointments to part-time Boards and Commissions, making recommendations for appointments to the President. In Canada in 2004, while her husband served as Ambassador, she served on the Board of the Centre for Studies of Children at Risk at McMaster University in Ontario and was active in community affairs in Ottawa. In 2004, Janet served as Protocol Director for the dedication of the World War II Memorial on the Mall. She has served on the Board of the Michigan 4-H Foundation and was inducted into the National 4-H Hall of Fame in 2009. Janet is on the Meridian International Center Board of Trustees.